Humor writer David Sedaris has kept a diary for the last forty years. Theft by Finding, the first of two volumes, is the story of how a drug-abusing dropout with a weakness for the International House of Pancakes and a chronic inability to hold down a real job became one of the funniest people on the planet. Starve and Struggle. Feast. Bloat. These are the three stages that all artists — with some variation — go through in their careers … So it’s encouraging to read 25 years of David Sedaris’s diaries, and not just because he manages to defeat Bloat. It’s helpful to see that a voice as original, hilarious and sometimes as infuriating as his was put through the same Struggle and Starve meat grinder that most of us go through … No one escapes Bloat, but many survive it. Maybe not with the grace, whining, hilarity and eye-rolling that Sedaris does. But through all 25 years of Theft by Finding, Sedaris’s developing voice is the lifeline that pulls him through the murk. ...a mesmerizing volume of deftly edited passages ... Sedaris is caustically witty about his bad habits and artistic floundering. Even when he cleans up his act, falls in love, and achieves raving success, Sedaris remains self-deprecating and focused on the bizarre and the disquieting. A candid, socially incisive, and sharply amusing chronicle of the evolution of an arresting comedic artist. Good tidings, ladies and gentlemen of the fan club. 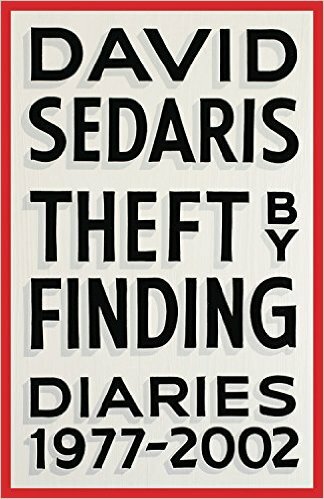 While some of the pleasures of Theft by Finding are familiar from the earlier books, it has virtues that make it a standout among them ... Sedaris’ personal essays are put together so carefully that none of the seams show; they often ingeniously build to a sneak attack of wisdom or poignancy in the final lines. 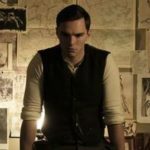 Here, the relatively artless diary entries, short and long, sequenced and non sequitur, add up to something we’ve never gotten before — a big, juicy narrative arc. It comprises 25 years of an essentially heartwarming success story, any potential ickiness kept in check by Sedaris’ judicious minimalism ... Career success takes a toll on the narrative momentum. Entries from 2001 and 2002, mostly about book tours and life in Paris, feel more dilatory and less pithy than what’s come before. What did you think of Theft by Finding: Diaries (1977-2002)?